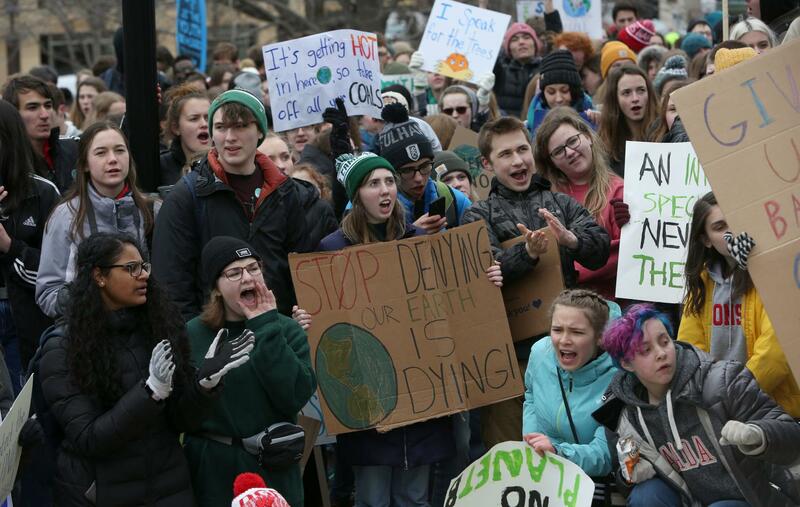 Students gather outside the State Capital for the Yourh Climate strike on March 15. We need to treat the food system as a primary cause and cure for climate change. Humans have abused the earth and the life of this planet wantonly. We have a deadly enemy within — resistance to change and a cultural acceptance of massive cruelty. We must reform almost everything, dramatically and now. We must close the slaughterhouses, stop killing wildlife, and help the land, water and wildlife survive what we have done to poison, plasticize, deforest, oil, frack and tar sand the land and oceans. It is time to talk about human extinction. Thom Hartmann, who has updated his book “The Last Hours of Ancient Sunlight,” reported tipping points just passed: Iceland, Greenland, and the Arctic are no longer regaining ice in winter but steadily losing it. That will inundate major cities: London, New York, Miami. He referred to the end of human civilization as the best we can hope for and the end of all life on earth the likely endgame. There is an estimated 40-year lag time between emission of CO2 and methane into the atmosphere and the warming effects. “Scientists tell us that even if CO2 was stabilized at its current level (414.27 ppm on February 9, 2019 … there is at least another 0.6 degrees ‘in the pipeline’. Leahy writes: “Every pound of CO2 emitted in the last hundred years will continue to trap heat in the atmosphere for hundreds of years to come. By 2045 or 2050 there will still be too much CO2 in the atmosphere. More forests or some form of direct capture that takes CO2 out of the atmosphere will be essential to stabilize global temperatures at 2.7 degrees Fahrenheit (1.5 degrees Celsius), the report says. We must stop ranching and plant trees instead of cows. A new effort has emerged to end the slaughterhouses of the Western world by 2025: The website states: “(T)here is an enormous amount of evidence that killing animals for food is a root cause of not only of enormous animal suffering but also global warming, biodiversity loss, human disease, and poverty in the developing countries. When one opens the website, a kill counter starts the count of animals being killed since opening the page. An estimated 3 billion land animals and wild and farmed fish are killed daily. That count does not include hunting and trapping our natural predators and wildlife, the by-catch, and poaching of the last of our wild creatures to facilitate slaughter of the enslaved. There are many groups working on raising consciousness of the connection between an imminently unlivable planet and our slaughter of hundreds of billions of other animals. In the Washington Post in 2016, Chris Mooney wrote “The Profound Planetary Consequences of Eating Less Meat”: “Namely, the researchers find that shifting diets toward eating more plant-based foods on a global scale could reduce between 6 and 10 percent of (human) mortality — saving millions of lives and billions of dollars — even as it also cuts out 29 to 70 percent of greenhouse gas emissions linked to food by the year 2050. The Paris accord does not limit greenhouse gases to 1.5 degrees Celsius. A CNN article states: “Global net emissions of carbon dioxide would need to fall by 45% from 2010 levels by 2030 and reach ‘net zero’ around 2050 in order to keep the warming around 1.5 degrees C.” It says, “Coral reefs will also be drastically affected, with between 70 and 90% expected to die off, including Australia’s Great Barrier Reef. He cites another British report: “The UK’s national weather service, the Met Office, has set off a fire alarm. The big fear the IPCC defined was that if global warming went above 1.5 degrees Celsius before the year 2100, it could trigger a bunch of irreversible tipping points, including widespread melting of frozen methane, that could trigger a climate spiral that would kill off large parts of the life on earth, leading to the death of billions of humans and the end of what we call civilization. We are in a fight for our lives and all life of the planet. Watch “Ma’iingan: Brother Wolf,” a new documentary, which premieres 7 p.m. Monday, March 4, on Wisconsin Public Television. Please send this column to your federal legislators and request support for The Green New Deal. Choose a plant-based, non-dairy/non-meat diet. You can email them the two Madravenspeak columns on the killing contests, found here and here. This column was originally published in the Madison CapTimes on March 3, 2019. 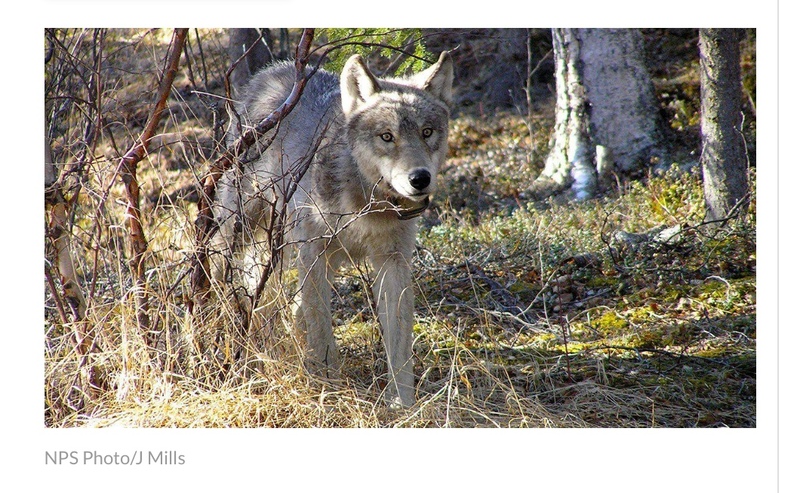 “I know absolutely that the cover-up of the illegal killing of domestic pets, the illegal poisoning of wildlife, and the illegal use of 1080 and M-44s is still going on.” ~ Shaddox, former Wildlife Services employee, March 2016. Eating farm animals comes along with a hefty side of tortured and slaughtered wildlife. Sliced buffalo, chopped cougar, minced wolf and creamed coyote pup are appetizers alongside every “cheap” hamburger or lamb chop. Across the planet, wildlife and their habitat are being destroyed to graze livestock for meat production. The rain forests of the world, with all their diversity, have been razed to grow feed and graze cattle. Livestock comprise 60 percent of the world’s mammals, humans 36 percent, and only 4 percent are wild. Sixty percent of large wild mammals face extinction right now. Humans choosing to eat animals bears much of the blame. In addition to destroying wildlife habitat to raise farm animals, humans are killing wildlife with the notion that wild animals are a significant threat to livestock. Bael was reporting on an investigation by reporter Christopher Ketcham published in Harper’s in March 2016: “The Rogue Agency: A USDA agency that tortures dogs and kills endangered species.” Ketchum describes the testing done on stray dogs taken to a garbage dump to test M-44. The M-44 is a spring-loaded sodium cyanide device that is planted in the ground to kill coyotes (or any animal that comes across it). He sets the scene: The supervisor, Charles Brown, tells his employee, Shaddox, that they will be doing a test of M-44 poison — with dogs. “A truck with shelter dogs of various breeds pulls up: The pound officer removed a small collie from the truck, and Brown took it by the neck. The animal, docile and quiet, stared at its captors. “Brown brandished an M-44 cartridge. He forced the dog’s mouth open and, with his thumb, released the trigger on the device. It sprayed a white dust of cyanide into the collie’s mouth. “The dog howled. It convulsed. It coughed blood. It screamed in pain. The animals in the truck heard its wailing. They beat against their cages and cried out. “’All right,’ said Brown to his trappers. ‘See, this stuff may be out of date, but it still works.’ He opened a capsule of amyl nitrite under the collie’s nose. Amyl nitrite is an immediate antidote to cyanide poisoning. Shaddox, whose job is to trap and kill coyotes for ranchers, is quoted in the article as saying, “’He (Brown) and the other trappers thought it was funny…It’s convulsing and dying, and he’s laughing. And this is what he’s teaching his men. That was just a hell of a way to die. No sympathy, no feeling, no nothing. I’m no animal-rights guy. But heartless bastards is all they were. Right there, that’s the culture. And these are federal employees. This is what your government is doing to animals. This is what your federal government is doing to animals here in Wisconsin, and predator-killing contests going on now and for years with no regulation by the state DNR are further decimating our wildlife. “’By the time Niemeyer retired, in 2000, after twenty-five years at the agency, he had personally killed hundreds of coyotes and had overseen the deaths of thousands more. On some days, working in Montana, Niemeyer skinned ten coyotes an hour as helicopters hauled the heaped carcasses in from the backcountry. (The government sold the skins for revenue.) Wildlife Services gunned down coyotes from airplanes and helicopters. 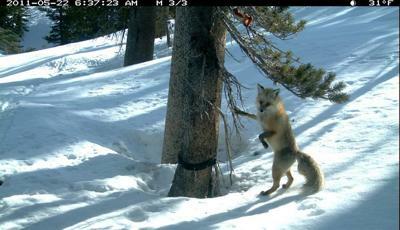 Its trappers used poison baits, cyanide traps, leghold traps, and neck snares. 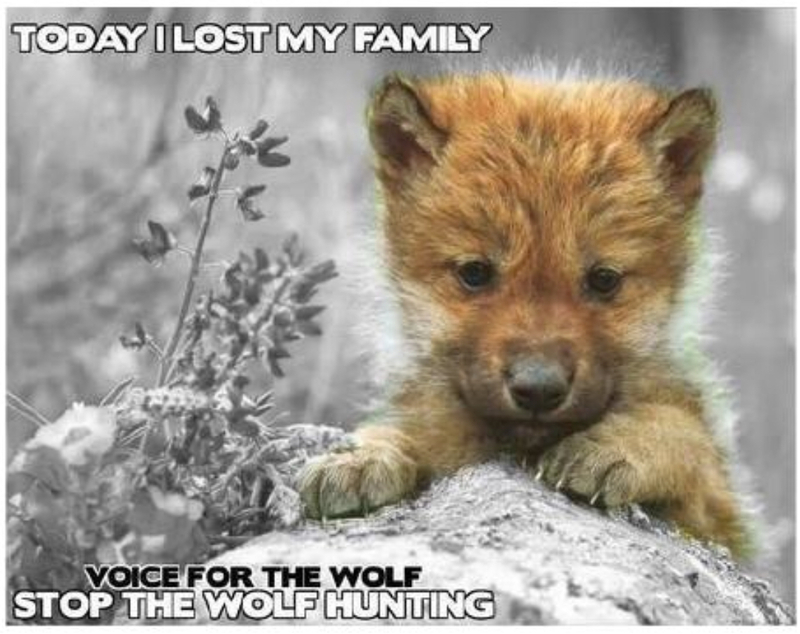 They hauled coyote pups from dens with lengths of barbed wire, strangled them, or clubbed them. Sometimes they set the animals on fire in the dens, or suffocated them with explosive cartridges of carbon monoxide. ‘We joked about using napalm,’ Niemeyer told me. To be continued — no end in sight. Sen. Fred Risser, D-Madison, has authored a bill to end wildlife killing contests in Wisconsin! Contact both your state senator and representative and say, “Please sign on to LRB 1453/1″ (Contact your Republican representative to sponsor an Assembly companion bill). Also contact Sen. Risser at 608-266-1627 and Sen.Risser@legis.wisconsin.gov to support this effort. Make sure they take down your name and address. Only public outrage will engage the attention of Gov. Evers to end predator-killing contests. If this is worth a few minutes of your time, contact him at EversInfo@wisconsin.gov and 608-267-2560. Here is the Humane Society’s tool kit for ending killing contests. Sign a petition to end wildlife-killing contests here. 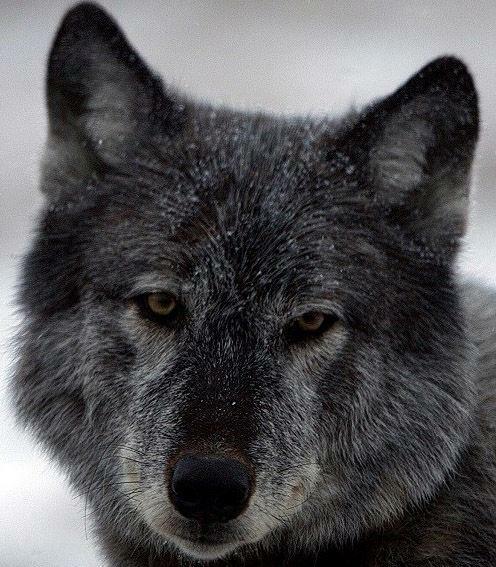 Ask your Congress representative to defund and terminate Wildlife Services. Scroll down to leave Sen. Tammy Baldwin a message here. Call Sen. Ron Johnson at 202-224-5323. This article as originally published in the Madison CapTimes on January 27, 2019.